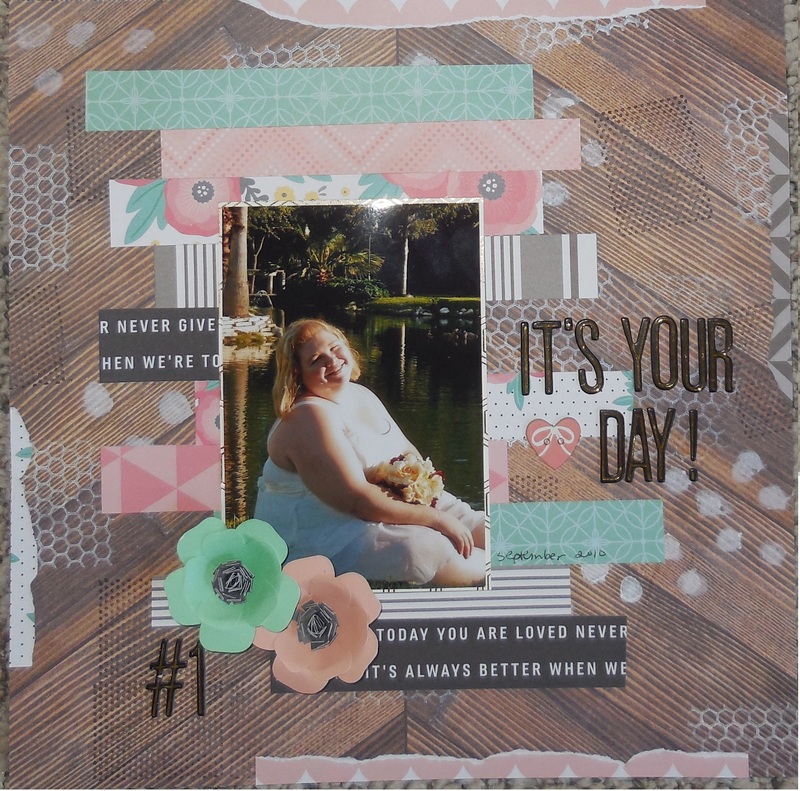 I got a little creative with next layout, using 2 of my items from my Use It Or Lose It Challenge – the TCW halftone circle template and 3 piece cling stamps (I only used 2, but hey, I used them!). I first layered the stamps here and there, using both white and black ink. Then I followed up using my white gelato with the stencil. This layout uses mostly Pebbles “Cottage Living” collection. The chipboard heart is from MME “Fancy That”. I’m submitting this layout for ACOT’s Title Challenge. The hostess, Deanna, has chosen to allow us to go back to all the 2015 Title Challenges to choose from. We can do all 12 of them if we wish, but only once. I chose to go back and do November’s Title Challenge. I had to use one of five titles she had selected, as well as a number. A number really doesn’t go well with this layout, so I settled on using #1. Whatever works, right? I’m also submitting this to Quick Quotes Challenge #59 – use a stencil and ink! By blbabe1234  Posted in Scrap-A-Day	 Tagged Pebbles, stamps and stencils, Use It or Lose it! very nice layout! thanks for sharing with us at Quick Quotes this month!